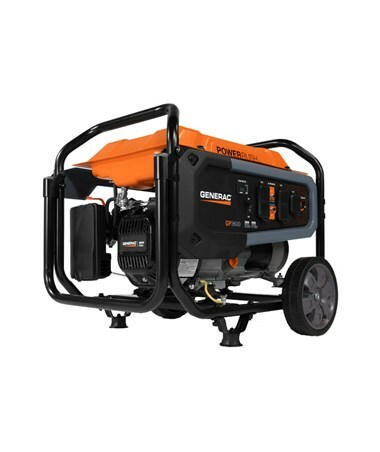 The Generac GP3600 Portable Generator is a versatile and powerful backup power equipment that is ideal for numerous applications. It features the PowerRush Advanced Technology that produces 40% more starting capacity for better performance. 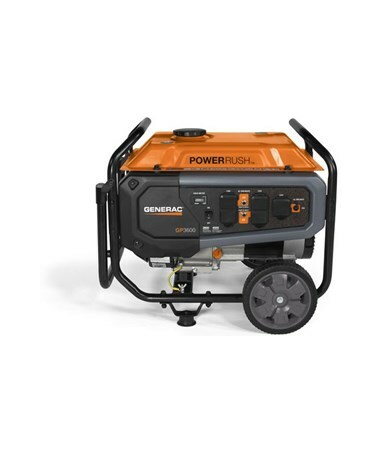 This portable generator uses a Generac OHV 212cc engine with splash lubrication for longer engine life. This Generac generator delivers running watts of 3,600 and starting watts of 4,500. It also boasts a large capacity steel fuel tank that carries 10W-30/SAE 30 oil for up to 3.7 gallons. Plus, the GP3600 Series offers a runtime up to 9.3 hours at 50% rated load. 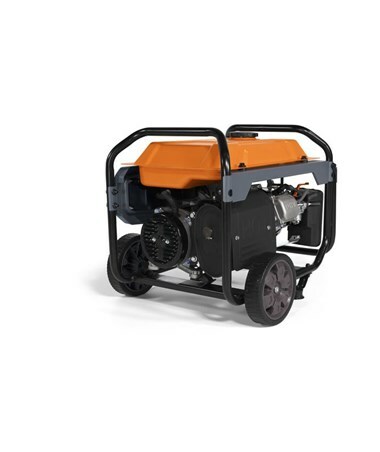 With heavy-duty construction, the GP3600 generator also features a fold-down handle and eight-inch Never-Flat wheels for better mobility. It also has a one-inch tube cradle for added robustness and strength. As an additional feature, the Generac GP3600 offers a low-oil level shutdown which protects the engine from getting damaged. 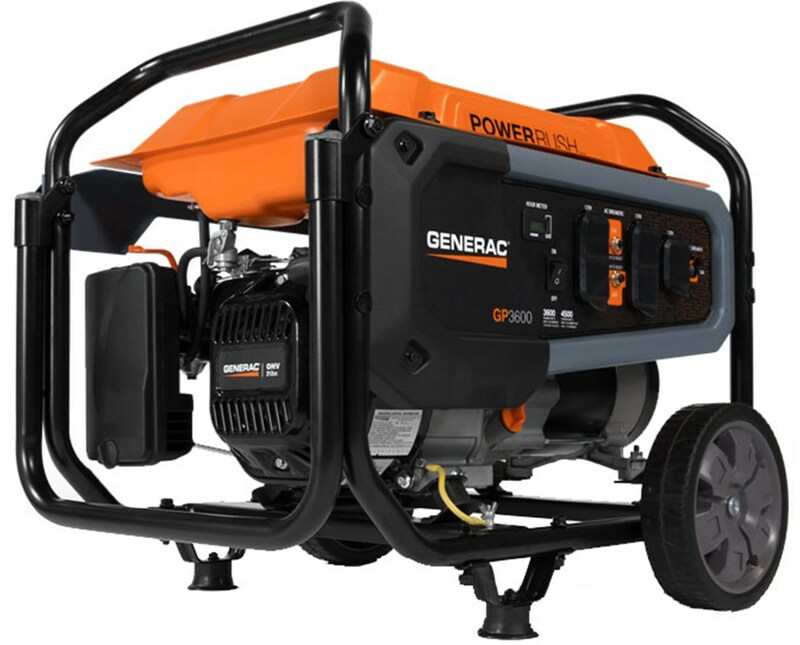 The Generac GP3600 Portable Generator offers two certifications for your needs. Please choose from the menu above. CSA (Canadian Standards Association) has provided the safety guidelines for this Generac portable generator. This standard certification assures that the product has undergone thorough testing procedures to ensure maximum safety. CARB (California Air Resource Board) deals with environmental protection specifically preventing air pollution. Generac generators with this certification are in compliance with the standards that prevent emissions that are harmful to the ecosystem.